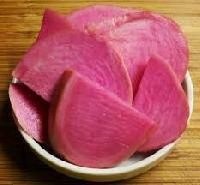 Regular consumption of turnips improves the health and color of your hair. They are a good source of copper which is involved in melanin formation. 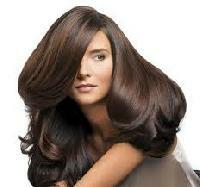 Melanin is a pigment that provides color to your hair. They are also rich in antioxidants like vitamins C and E, betacarotene, lutein and zeaxanthin which help maintain healthy hair. Turnips have a rich nutritional value comprising of vitamins K, A, C, E, B1, B3, B5, B6, B2 and folate as well as minerals like manganese, fiber, potassium, magnesium, iron, calcium and copper. It is also a good source of phosphorus, omega3 fatty acids and protein. In spite of their rich taste, turnips are low in calories. One cup of raw turnip provides just 36 calories which can fulfill 2.5% of your daily caloric intake if you follow a 1500 calorie diet or 1.8 % of the daily caloric intake in case of a 2000 calorie diet. A cup of cooked calories provides only 30 calories and 4 grams of sugar. Fiber can help you feel full and hence is beneficial in restricting your caloric intake. A cup of turnips provides about 5 grams of fiber. Boiled turnip provides about 4 grams of dietary fiber which is 16% of the daily requirement. The recommended daily requirement of fiber is 25 grams and 38 grams for men and women respectively. Turnips contain abundant amounts of carbohydrates. One cup serving of raw turnips provides around 8.5 grams of carbohydrates. This comprises of approximately 5 grams of sugar and 1.2 grams of starch. Sugar and starch provide your body with the energy needed for day to day functioning. Turnips have a low protein and fat content with one cup of turnip providing approximately 1 gram of protein and 0.1 gram of fat. Turnips are rich in several vitamins. A cup of mashed turnip provides about 27 mg of vitamin C. This vitamin is an antioxidant which facilitates tissue repair and immunity. The recommended daily requirement of this vitamin for adults is between 75 and 90 mg for women and men respectively. Turnips are also rich in B vitamins such as riboflavin, thiamin, niacin, folate and pantothenic acid. One cup of turnip provides about 0.2 mg of vitamin B6. The recommended daily allowance of this vitamin is 1.3 mg. B vitamins are important as they facilitate fat, carbohydrate and protein metabolism, nervous system function and healthy skin, hair, eyes and liver. Turnip greens are comparatively higher in vitamins, offering more than a days worth of vitamin A and K. They are also a good source of vitamin C and A. One cup of turnip greens contains 33 mg of vitamin C and 6373 International Units (IU) of vitamin A which fulfills about 64% of the daily requirement. It also provides 318 IUs of vitamin K which is about 3 times the daily requirement for adults. Turnips also contain a variety of minerals. One cup of mashed turnip provides about 76 mg of calcium which is equivalent to 8% of the recommended daily value. It also provides 407 mg of potassium which is vital for maintaining healthy blood pressure and fluid balance. The recommended daily allowance of potassium is 4700 mg. Turnips also contain small amounts of iron, magnesium, phosphorus, sodium, zinc, manganese and selenium. Hence, turnips can be a healthy and tasty addition to your diet. Being low in calories, they can also be used as a substitute for potatoes in many dishes. A 1cup serving of boiled, mashed turnips contains 51 calories and provides 76 milligrams of calcium, 21 milligrams of magnesium and 407 milligrams of potassium. The same serving size also provides 26 milligrams of vitamin C. A 1cup serving of raw turnip greens provides 104 milligrams of calcium, or 13 percent of your daily requirement, and 163 milligrams of potassium. Turnip greens are also a good source of vitamin C, with 33 milligrams per cup, vitamin A, with 6,373 International Units, or IUs, per cup about 64 percent of your daily requirement and vitamin K, with 318 IUs per cup about three times the daily adult requirement. While the turnip root is considered a starchy vegetable, it contains only a third of the calories in a potato. Turnips contain a category of phytonutrients substances in plant foods that improve health but are not essential to life called indoles. Indoles in turnips may reduce your risk for lung and colorectal cancers, according to the Linus Pauling Institute. 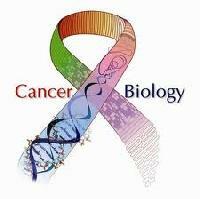 A tissue culture study published in the March 2012 issue of the International Journal of Oncology found that brassinin, a type of indole compound, killed human colon cancer cells. Researchers noted that their experiment was the first to determine the particular stage of cancer cell growth that the turnip compound affected. Turnip sprouts provide high levels of glucosinolates, sulfurcontaining compounds that may help protect against some forms of cancer and provide antifungal, antibacterial and antiparasitic benefits. A study published in the November 2012 issue of the Journal of Agricultural and Food Chemistry found that, among nine different cruciferous vegetables, turnip sprouts showed the second highest levels of glucosinolates, after white mustard sprouts. Researchers of a study published in the August 2012 issue of the journal BJU International found that glucosinolates provided some protection against benign prostatic hypertrophy, an inflammatory condition that can lead to prostate cancer.